Calton Nutrition’s Executive Advisory Board is made up of highly qualified doctors, nutritionist/dietitians, fitness and behavior specialists who have dedicated their lives to helping others achieve optimal health. 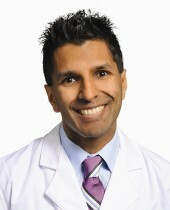 Dr. Anup Kanodia is a Mayo Clinic and Harvard trained physician. 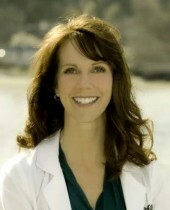 He is a board-certified family medicine doctor and fellowship-trained in integrative and complementary medicine. 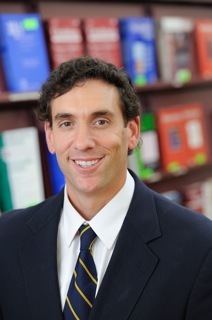 He has published six articles in medical peer-reviewed journals including the twice in the Mayo Clinic Proceedings. The past four years Dr. Kanodia has worked for The Ohio State University Medical Center in the Center for Integrative Medicine and the Center for Personalized Health Care. During his time at Ohio State University Medical Center he helped 1,000’s of patients with chronic diseases and led a University-wide culture change on the harms of excessive sitting. 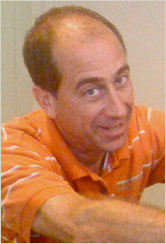 The culture change on how we do our work has led him to be an international expert on the health risks of sitting including newspaper articles in the Wall Street Journal and LA Times; TV interviews on 209 TV stations including CNN; national magazines articles in the Family Circle and Max Sports and Fitness; and international press including India and Indonesia. His advocacy on the harms of excessive sitting assisted the medical center to earn over four million dollars in new medical patient care. Also this has led Dr. Kanodia to develop a free online 30 day I’m Standing Challenge to assist people to burn 50% more calories while they work and be 30% more productive while they work. All by standing more and sitting less. The 30 day I’m Standing Challenge will launch in January 2014. Dr. Kanodia has a revolutionary in-person and internet-based medical practice called Systems Medicine whose mission is whole person individualized care. Systems Medicine is based on the scientific proven principles of systems biology. This new medicine has demonstrated that doctors cannot subdivide the body because the human being is more than the sum of its parts. It states that we should integrate all diseases and symptoms into one treatment plan. Also systems biology has demonstrated that we must personalize our treatment plan because no two people are alike. Radio Host: “Optimal Health, Radient Beauty” KVI. Discussing aesthetic medicine and educating about science-based natural and anti-aging Medicine. Radio Guest: “Chat with Women”. Nationally syndicated radio show targeting women. Discussing skincare, anti-aging, aesthetic medicine. Dr. Nicoletta is a leader in the field or orthopedic sports medicine having authored numerous peer reviewed journal articles and textbook chapters on knee and shoulder injuries. He is the Harvard Medical School Course Director for a nationally recognized Sports Medicine Symposium held each year in Boston, MA. He is currently involved in research involving knee ACL Reconstruction and advanced operative techniques. He is the cofounder of whatsnewMD, Inc. (www.whatsnewmd.com) the first of its kind online service for physicians and health care providers in the US and internationally. 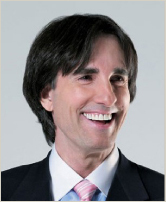 Dr John Demartini is a human behavior specialist, educator internationally published author and a sought after authority on maximizing human awareness & potential. He is considered one of the world’s leading authorities on human behavior and personal development. He is the founder of the Demartini Institute, a private research and education organization with a curriculum of over 72 different courses covering multiple aspects of human development. For more information on Dr John Demartini and upcoming events contact The Demartini Institute. Dr. Bachar holds a Doctorate degree in Chiropractic from Life University and has been practicing chiropractic medicine since 1992. He is a member of the Florida Chiropractic Society, the Florida Chiropractic Association, and the International Chiropractic Pediatric Association. He has a passion for travel and contributes his time and energy to his Christian charity. He regards chiropractics for it’s ability to balance the body’s structure to naturally promote self-healing. Dr. Bachar believes that lifestyle medicine can unite doctors, nutritionists and scientists to work together to treat the human body, mind and spirit as a whole unit.